"Today, many Christians, myself included, experience a quiet uneasiness about attending divine services in a strange church; they are appalled at the thought of the half-understood theories, the amazing and tasteless personal opinions of this or that priest that they will have to endure during the homily--to say nothing of the personal liturgical inventions to which they will be subjected. No one goes to church to hear someone else's personal opinions. I am simply not interested in what fantasies this or that individual priest may have spun for himself regarding questions of Christian faith. They may be appropriate for an evening's conversation but not for that obligation that brings me to church Sunday after Sunday. Anyone who preaches himself in this way overrates himself and attributes to himself an importance he does not have. When I go to church, it is not to find there my own or anyone else's innovations but what we have all received as the faith of the Church--the faith that spans the centuries and can support us all." 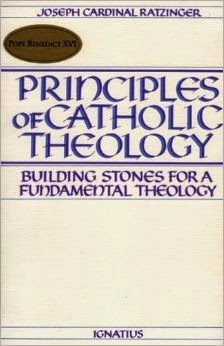 --Joseph Cardinal Ratzinger, Principles of Catholic Theology: Building Stones for a Fundamental Theology (trans. M. F. McCarthy; San Francisco: Ignatius, 1987), 283. It seems this is a good example of why its important to understand the context in which something is said, yes? You're certainly correct that context is important. If you're referring to the quote, it seems clear to me that he is speaking about visiting churches that are not his home parish (e.g. while traveling, visiting, etc.). I have experienced this sentiment myself when visiting churches that take liberties (usually by addition) to the Divine Liturgy, and it is very distracting. What's worse is many of the people who witness the changes, bad theology in the homily, etc. begin to think it's perfectly acceptable to tailor tenets of the faith to their own liking. If the Mass is celebrated in a way that is relative to a particular priest's personal theology, it should come as no surprise that the faithful imitate the example they are taught, not only in their ideology, but also in their attitude toward the truths of the Catholic faith. Oh, thanks! I wondered why he would be going to a protestant church! I guess I've never had that experience in a Catholic one. Either by experiencing the words and works of excellent Catholic priests, or by closing my eyes to anything but seeing that, God has spared me the experience of relativism in a Catholic church. No doubt studying scripture on my own would make it possible to simply ignore misguided teachings and be able to love the teacher, anyway. But, for people who don't know Scripture, relativistic teachings are dangerous, and I can see how, for excellent teachers, the teaching of relativism by fellow teachers would cause great pain. I can reflect back to how things were before Vatican II. Priests used to focus on the gospel. Now the church wonders why everyone thinks this way or that. It's not there shouldn't be some personal reflection. There should. But it should center on the gospel that week. Really every gospel should bring in at least a solid 5 points on church teaching. I think Rome should make that mandatory as a priestly obligation. Five elements from either dogma, doctrine/ the churches interpretation of sacred scripture in every homily. I agree. There are always common themes running through the Scripture readings at Mass, and I love it when the homily reflects on and digs deeper into those themes (like The Sacred Page blog does every week, haha). You're welcome, Susan! And you're right that the relativistic teachings can be dangerous, especially when people don't know Scripture or other teachings of the Church. We need to know our faith and to be hungry to learn more! Hi Christopher, Relativism is affecting every level of society. This is precisely why my heart goes out to the youth of the church. I believe Pope John Paul II singled out your generation. He knows that the youth are simply not content in the notion that everyone has the truth, be it moral matters or not. Thank you for sharing and God bless! What do you mean by relativism? Do you mean moral relativism or just relativism in general? I guess I'm asking when you say moral matters or not, are you meaning to say that general relativism is in the church as well? I always associated any relativism related to the church exclusively as only moral. Sorry for the double posts! The blog said it didn't go through the first time! But yes, the short answer to your question Joseph is that both forms of relativism are in the church because the church is a human institution and the matters of the world influence the people in it. As a recent revert to Catholicism, I enjoy visiting other parishes for Mass. It’s fascinating to me how big my family is, how diverse they are, and how each parish has its own faith-filled culture of expression in the worshiping and serving of Him. As a visitor, I do not assume to understand why the homily is presented in the context that was chosen by that priest, because I do not assume to know the spiritual needs or issues of his flock. So he may, and should, relativize his teachings in order to best feed his flock so that they may grow to become more like Christ, but that does not mean the absolute truth of God is distorted in any way. So, in my statement I was not referring to ‘general’ relativism, I was referring only to the relativizing of the absolute truth of God, and therefore teaching a lie about God (“I am the way, and the truth, and the life…” John 14:6). It doesn’t seem that putting rules on the teachings would help, it would just make the Church more legalistic minded. It seems the problem is not a lack of rules, it seems the problem is either a lack of integrity in moral character in those priests who would intentionally mislead the flock, or a lack of teaching skill by some, or a lack of understanding of that Truth by some priests (referring to when he was persecuting Christians, prior to the conversion of his heart, even Saul (St. Paul) was said to have great zeal [for the law of God], but lacked understanding [of the loving nature of God] Acts 22:1-21). I’ve heard it said that each person is a gift (from God), just waiting to be opened -even our priests! It seems that if his teachings do not seem to add up to the Truth as one knows Him, the best response would be to pray and reflect on that, seeking the truth in the Catechism or Scripture. If questions persist, what is the harm in asking him? 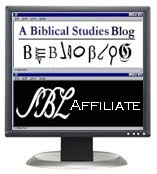 If that doesn’t help then seeking counsel from 1 or 2 friends who are knowledgeable in Scripture and the faith. It seems very important to approach this all in a relationally mature and loving, non-gossiping, non-complaining manner, because it is more than likely the lay who is lacking in understanding. I love it when I have a teachable spirit. But then what? Particularly if no resolution has been found, and there is the appearance of habitual false teachings (not a lone mistake, for we all make those in moments of confusion, doubt, fatigue or other human weakness). Go to the Bishop? Regardless of the customary approach towards resolution of false teachings, it now seems a sure thing in my mind that the incorrect response would be to ignore it. Ignoring false teachings would be what I call the Adam response –Adam, who was with Eve, knew that Eve was going down the wrong path, but said nothing (Gen. 3:6). It seems it would be a sin of omission to ignore false teachings, particularly habitual false teachings, for it seems to fit the description of knowing the good we ought to do and not doing it (James 4:17). However, remember there is most likely a beam in one’s own eye. So it is imperative, whether or not the issue is resolved, or how it is resolved, to forgive and love the priest, anyway, like Jesus loves you. If He can grow Saul (“the worst of sinners…” 1 Tim. 1:15), He can surely grow our priests (and us). Well said, Susan. I like the approach you described, which reminded me of Jesus' teaching on how to progressively deal with one who sins against you Matthew 18: (1) tell him alone, (2) tell him with witnesses, (3) tell it to the Church. Fraternal correction that is done while reverencing Christ in our hearts and speaking the truth in love is what we are called to do, (as well as being open to receive such correction ourselves), for as you said, God can grow (and is growing) each one of us in every way into Him who is the head, into Christ (1 Pt 3:15; Eph 4:15). Thanks Christopher, I was groping in the dark, relatively speaking. I had that Matt. verse in mind. It seems the hierarchy of the Church was placed with the assumption that only the Truth would be taught, therefore, there seems to be no established way for the lay to address false teachings. In reflecting on the disastrous effects that the protestant false teaching of cessationism (which denies the power of God) is having in my home diocese; what is the path that the lay are to follow to go above their immediate authority, or even one's Bishop, to see that false teachings, and the effects of them, are recognized and addressed by the leadership of the Church? I should probably explain that each comment I made above was made honestly, otherwise one would think my 2nd comment was made intentionally to mislead others. Actually my 2nd comment was made with my spiritual eyes closed. In my new happiness at my new Catholic school, I had become blind to one of the reasons, no doubt, He sent me here. But apparently overnight, in my sleep, things got worked out in my soul. This morning I woke up with the perception I had something more to clarify about truth, and did so as I wrote the third comment. While reading Christopher’s comment “(3) tell it to the Church. Fraternal correction…being open to receive such correction ourselves…God can grow, and is growing, each one of us in every way into Him who is the head, into Christ (1 Pt 3:15, Eph 4:15)”, I was realizing that Jesus had just reopened my eyes to the truth. The truth is that I have perceived habitual false teachings in the Catholic church, and was unable to find the way to a leader who had both authority and would take action. This has led to the realization that we are not in heaven yet, not even the Church, which has been an excoriatingly painful reality to endure; thus the denial. I was not intending to deceive in these responses, what you have witnessed here is the effects of, and my honest response to, His direct revelation in my life today. "So he (the priest) may, and should, relativist his teachings in order to best feed his flock so that they may grow to become more like Christ, but that does not mean the absolute truth of God is distorted in any way"
..This is a contradiction in terms. The key word here is his teachings. They are not his teachings but the teachings of the church that he should be relating. As this is holy, apostolic, and universal church, the teachings related from one priest to another should remain the same throughout. You cannot look at this in terms of an overall truth, and a specific teachings that can vary from parish to parish. The various teachings of the church comprise the whole truth, and are the same no matter what parish you visit. That's one of the treasures of being catholic! :) We can go to many parishes and hopefully! the teachings should remain the same. Its possible that I'm misunderstanding what your saying, but based on the statement alone, I would have to disagree. Yes, you are misunderstanding me. I appreciate your not assuming that, and instead (sort of) asking me. That shows respect for the other person, thank you. In order to feed his specific flock, the teacher will have to say the teaching in a way his flock will understand. That's what I mean by 'relativizing' it. As I said before, I'm not referring to distorting the Truth in the teaching. Your welcome!! While I can sometimes be blunt be it on youtube or on blogs, I do like to show respect. That makes more sense. Thanks for the clarification. God bless. Thank you for the wonderful dialogue you people presented, showing a good example of becoming acquainted on the internet.